Since it was Music From Memory, and with a quick look at the track titles, ignorantly I presumed I was in for ninety minutes of ambience like the reductive masterpieces of Gigi Masin`s “Talk To The Sea”. That`s not what I got. 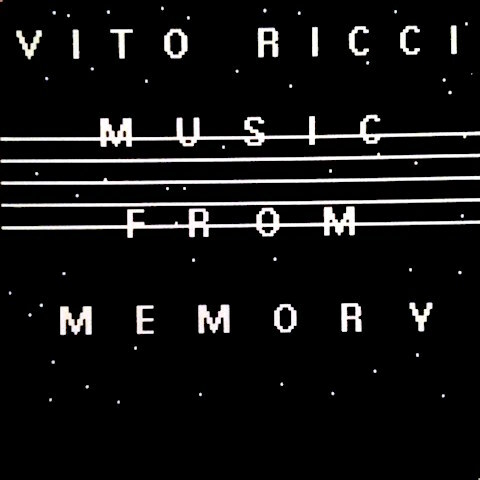 This collection of work, much of it previously unreleased, by New Yorker Vito Ricci is far closer to the improvisational experiments of George Theodorakis (recently given an overview by MFM`s friends Into The Light). Not necessarily easy listening. Ricci was immersed in the Downtown art of the early`80s, writing and performing music for theatre and dance productions. Originally a percussionist, he sat in on sessions with Jazz luminaries such as Rashied Ali, Byard Lancaster, Peter Zummo and Yousef Yancey. 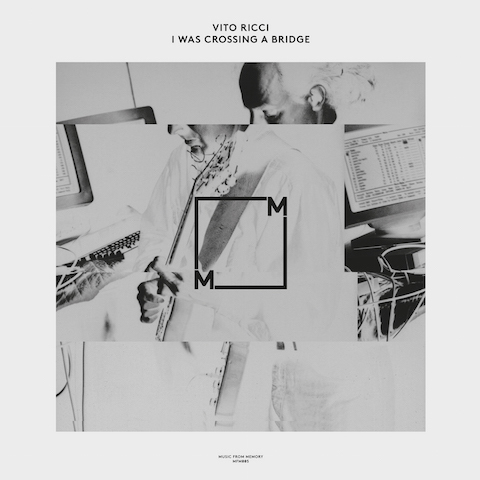 Ricci then moved to include guitar and synthesizers, played with Avant-Garde composer John Zorn, and accompanied poet / activist Bob Holman. Until now recorded output consisted of a few homemade cassettes, and one LP, “Music From Memory”, from which the label takes its name. The drones and electronic pulses of “The Ship Was Sailing” seem to speed up and slow down, like the titular vessel rising and falling, cutting across currents, breaking the waves. “Hollywood” holds a sustained chord and sends drum machines crashing. “Music In Forths” rides a funky b-line and funky shapes made as keys sing abstract songs. “Dub It” puts ethereal, almost Gregorian, chant over seashell percussion. “Riverflow” manipulates layers of third bridge guitar picking. “Bachelor” uses synths to mimic violin and strings of love. Three chord repeats run in counter time. Complexity woven from simplicity. “Commie Stories Part 5” blasts Foghorns through space age distortion. “I`m At That Party Right Now” and “Cross Court” could be Cherrystones Punk Funk discoveries, like those selected for his forthcoming “Critical Mass” (on Touch Sensitive). Vito`s hip rap, Pac-Jammed Electro, `luded Go-Go. Killer Whale`s razors on Bonzo Goes To Washington. The bounce of Wolf Muller`s “Dickicht”. The No-Wave Funk of Richard Bone and Savant. 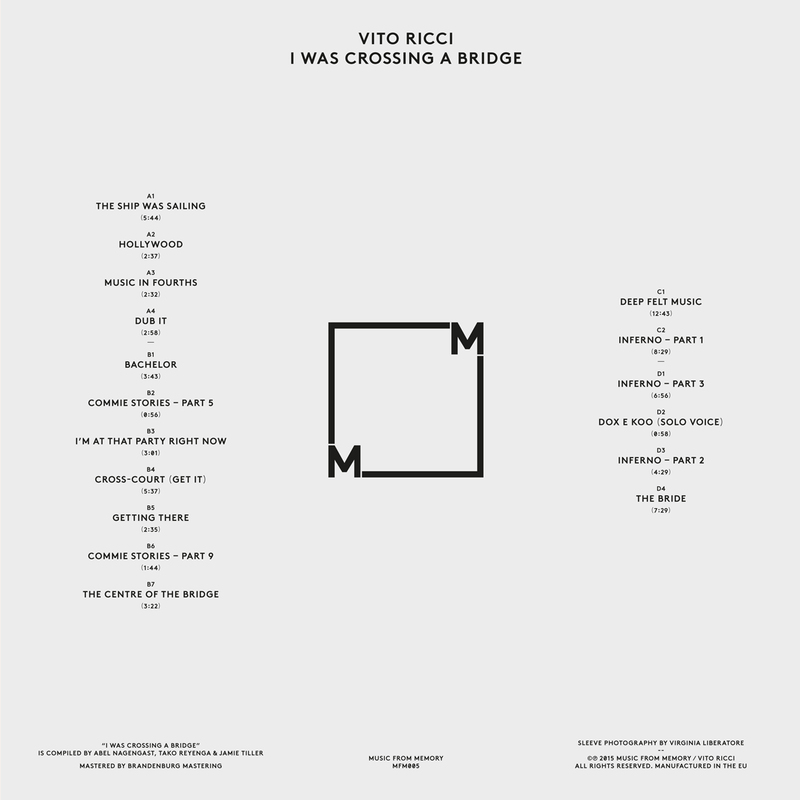 “I Was Crossing A Bridge” in fact bears some comparison to the retrospective of recordings by Savant member K. Leimer on RVNG Intl. primarily in the breadth of experimentation and styles displayed. The rhythmic urgency of “Getting There” leads to the Proto-Techno of “Commie Stories Part 9”. 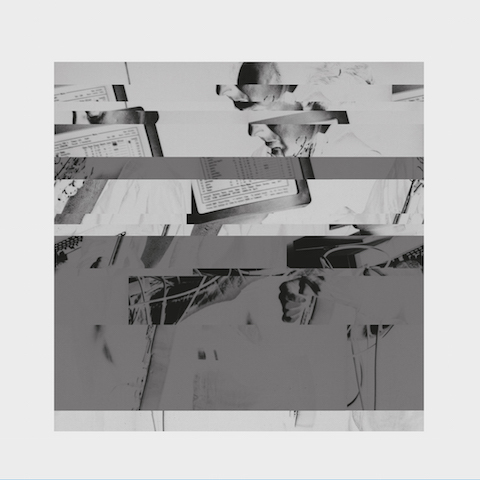 “Centre Of The Bridge” is a minimalism forged from a mechanism of clocks and bells, “Dox E Koo” a vocal construction in line with Claire Hammill or Juliana Barwick`s “The Magic Place”. Many of the short pieces could be taken from a library record, describing scenes and moods. Of the longer compositions “Deep Felt Music” recalls Throbbing Gristle`s score for Derek Jarman`s “In The Shadow Of The Sun” or Ariel Kalma`s collaboration with Robert Aiki Aubrey Lowe. The harmonics of water, of one thousand ringing voices. “Inferno” is divided into three. It begins with crudely recorded birdsong, like a snapshot stolen from a passing car, which quickly dissolves into John Carpenter rotor blades and electrical storms, a suggestion that something wicked this way comes, inducing a feeling of Sci-Fi, of Horror, the unknown and monsters. The sequence closes with solo piano. Throughout “I Was Crossing A Bridge” sounds, themes and methods are introduced, recur and build to the concluding “The Bride” (in the same way that RVNG`s Intl.`s focus on Ariel Kalma climaxed with “Yogini Breath”). “The Bride” is a music of collapse, destruction, of bonds and chains wrought free, rebirth and renewal. A music inspired by memory will evoke memory. An empty chair seats an apparition, as if she were still here. It demanded that I go back and relisten with new, opened ears.